Get started early - don't wait until there's not enough time to become compliant. 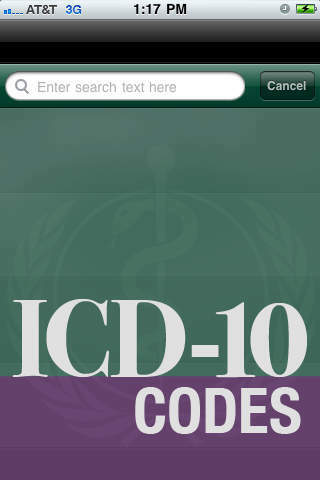 Browse or search more than 69,000 ICD-10 codes (updated for 2011) from the International Codes of Diseases as classified by the World Health Organization (WHO). 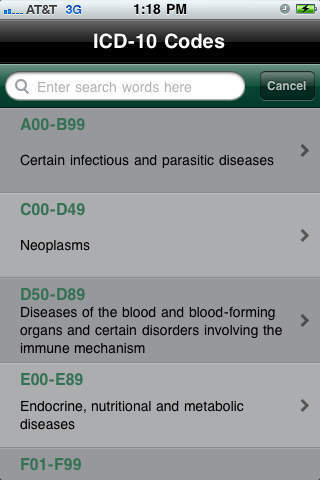 Browse codes by Chapter, Section, and Code groups. If you’re a health care provider, payer, software vendor, or clearinghouse/third-party biller – you need to become compliant with ICD-10 (version 5010) as early as 2011, and no later than Q3, 2013. Get started early – don’t wait until there’s not enough time to become compliant.